Dr. Irish graduated with his M.D. degree in 1984 from the University of Toronto. He completed residency training at UCLA and at the University of Toronto. He completed his Master’s of Science degree under the supervision of Dr Alan Bernstein where he studied molecular biology of head and neck malignancies. 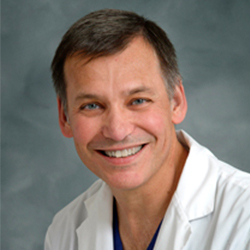 He completed the American Head and Neck Society fellowship in head and neck oncology in 1991 and joined the staff of the University Health Network in 1992. He is currently Chief of the Department of Surgical Oncology at the Princess Margaret Hospital/University Health Network and Mt. Sinai Hospital, Toronto, and is full Professor of Otolaryngology-Head and Neck Surgery at the University of Toronto. He is Lead, Access to Care and Strategic Funding Initiatives for the Surgical Oncology Program at Cancer Care Ontario and is responsible for the Cancer Surgery Wait Times portfolio. Dr. Irish focuses primarily on head and neck oncology and surgical reconstruction of the head and neck region. His research interests range from basic science studies in head and neck cancer to patient education intervention trials to outcome studies in head and neck cancers. More recently he has headed a multidisciplinary program in Guided Therapeutics at UHN. He has over 160 peer review publications and over 20 book chapters and has over $2M in peer review funding for his research through the NCIC and CIHR.